‘Made to Order’ is a game developed by Fields of View for Gender Bender 2017, a production by Sandbox Collective and Goethe Institut Bangalore/Max Mueller Bhavan on the 9th and 10th of September 2017. Gender Bender is an annual event where artists and groups are invited to propose ideas that challenge current ideas around gender. 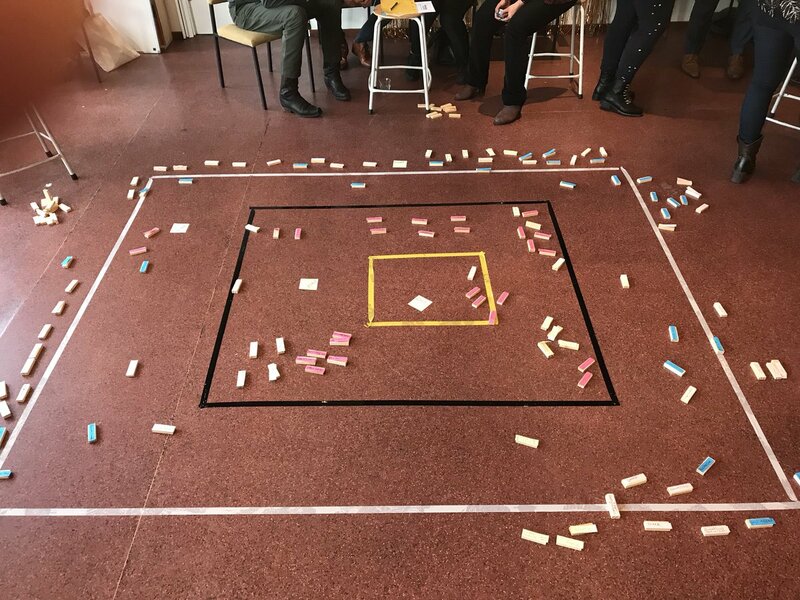 For Gender Bender 2017, Fields of View created a game that would let the audience explore the intersecting dimensions of gender, caste, and class, how they frame our view of the world. 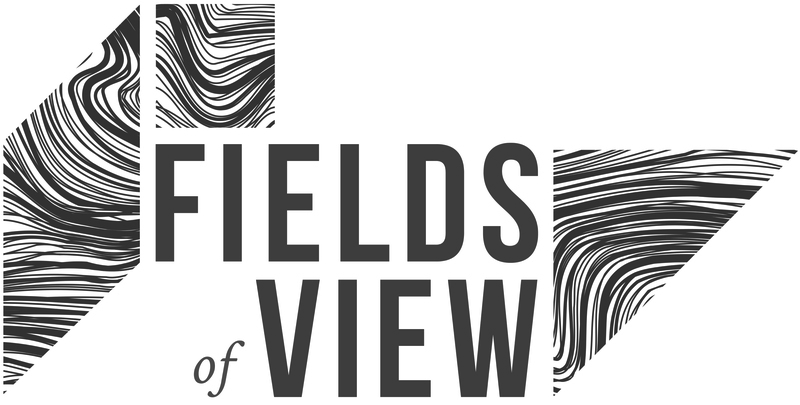 Fields of View was one of the ten grantees chosen from almost 120 entries from the country, and around the world. You can see a video of the game here. The kick-off meeting of the project ‘A Platform for Integrated Governance In Metropolitan Chennai: Developing Resilience Scenarios and Strategies through Participatory Simulations’, a collaboration between Tamil Nadu State Land-Use Board, CUBE, IIT-M; Okapi India, and Fields of View was held between 18th - 19th September. 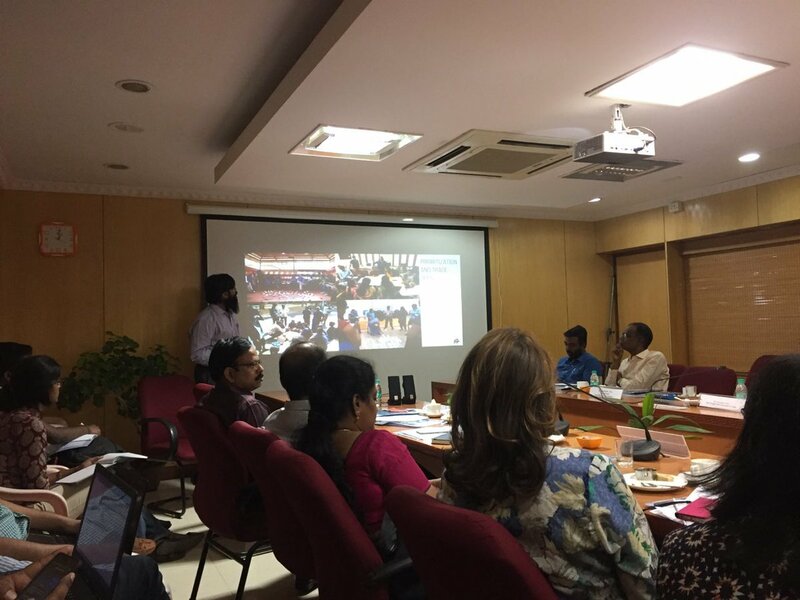 Bharath, Srijan and Vaibhav participated in the meeting, and Bharath presented about how simulation tools can be used for scenario planning. Our efforts in the project are funded by Sir Dorabji Tata Trust. Sriganesh Lokanathan from LIRNEasia visited FoV for discussing possible collaborations on 18th October 2017. LIRNEasia is a regional ICT policy and regulation think tank active across the Asia Pacific. 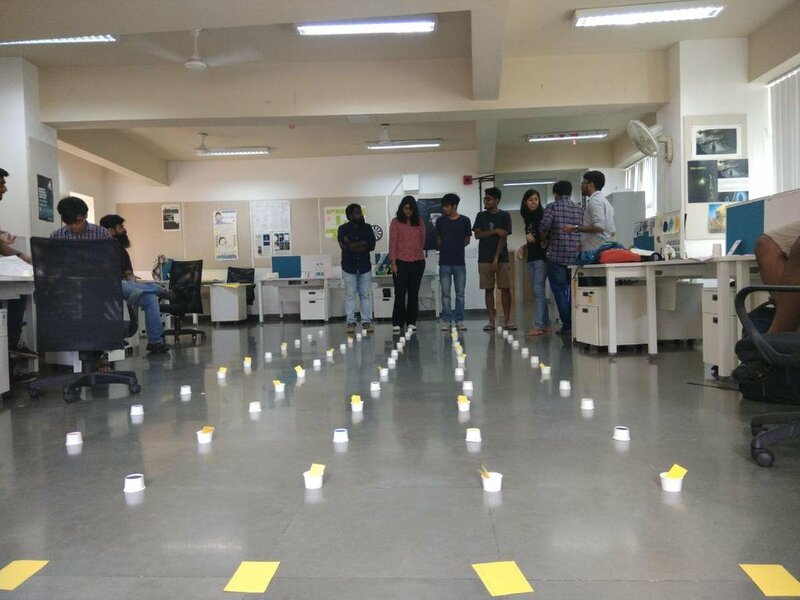 FoV conducted our annual game design course for Master's students of game design at National Institute of Design, Bangalore between 23rd October 2017 and 27th October2017. Anirudh conducted a game session on Rubbish! with participants from Baduku Community College on 25th October 2017. Baduku is run by Samvada, an organisation that works to support, sensitise and empower disadvantaged youth. 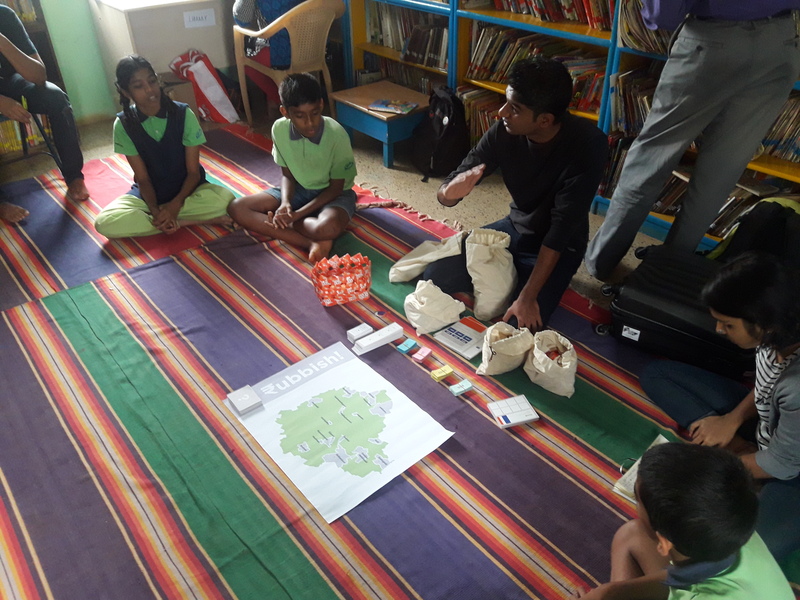 FoV conducted a game session on planning for public bus services with participants from ‘ Bengaluru Bus Prayaanikara Vedike’ on 4th October 2017, under the ‘Joint Road Forward’ project. The ‘Joint Road Forward’ is a multi-year, multi-country project aimed at developing gaming and simulation methods to better design mobility infrastructure and policies, leveraging different forms of relevant data, and participatory methods. FoV organised a Workshop on ‘Cantor’s World’ at INSEE (Indian Society for Ecological Economics) in partnership with UNESCO-MGIEP between 7th and 10th November, 2017. ‘Cantor’s World’ is a game developed by Fields of View in collaboration with UNESCO-MGIEP for Master's students of economics and sustainability and policymakers to learn how the Inclusive Wealth Index (IWI) complements other development indices. In the game players can experiment with different policy choices and experience first hand the tug-of-war between short-term results and long-term sustainability. You can read more about the game here. 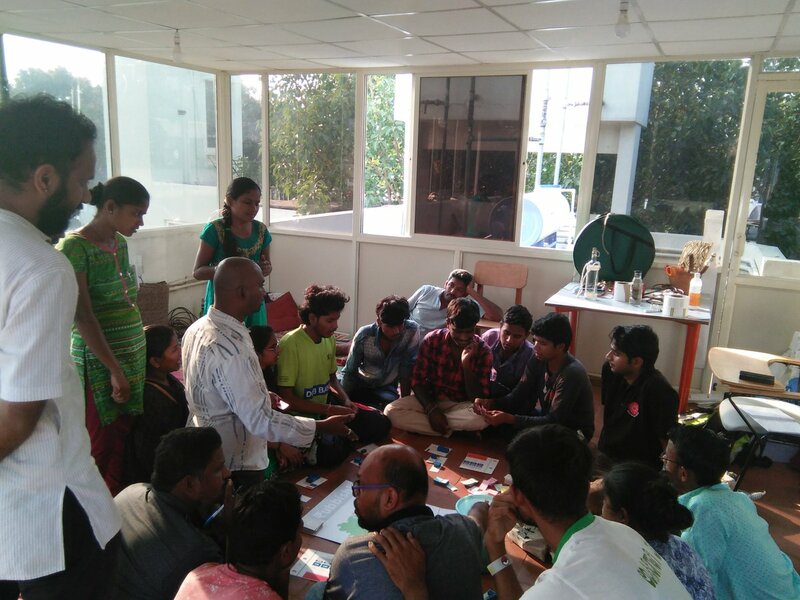 A test game session on planning for public bus services was conducted with the Bangalore Metropolitan Transport Corporation (BMTC) at their office to elicit their feedback on the game. The game is part of the ‘Joint Road Forward’ project. Anirudh conducted a game session on Rubbish! with students of Parikrma on 14th November, 2017. Parikrma Humanity Foundation works for underprivileged children to enable them to live their life on equal terms and become valuable contributing members of society by bridging the gap by transforming the content of education. Bharath conducted a workshop for students of TERI University, New Delhi, on tools for policy making on 16th November 2017. 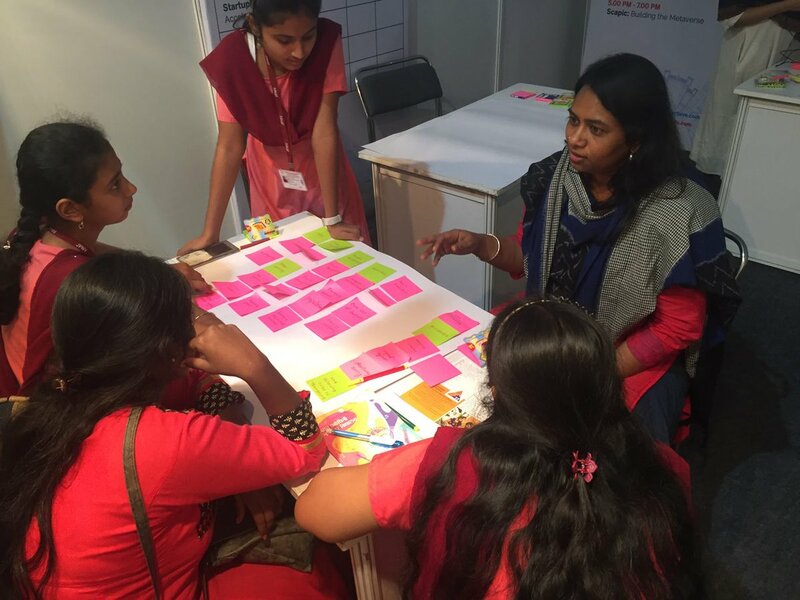 Sruthi, Vaibhav, and Shambhavi conducted a workshop ‘Tinker Trash’, to explore the questions of ‘why make, who makes, who benefits and who does not’ at the Maker Faire Bengaluru on 17th November 2017. The Maker Faire is a gathering of people from various backgrounds such engineering, art, science that love to craft and tinker with technology. This year’s Maker Faire was hosted by the Workbench Projects, Bangalore. Sruthi gave a talk on ‘What are you making?’ at the same event. 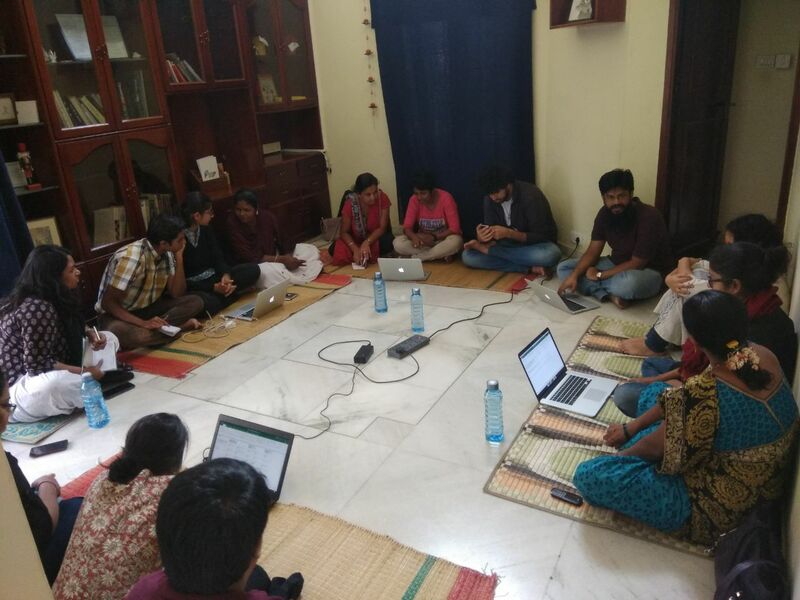 Bharath conducted a collaborative planning session using the ‘City Game’ with participants from Haarlem, Netherlands on 24th November 2017. The game session was conducted in collaboration with Dr. Artie Ramsodit, founder of CitySolutions.nl, which looks at thicker data, games and simulations to enhance responsive policy making in the Netherlands. 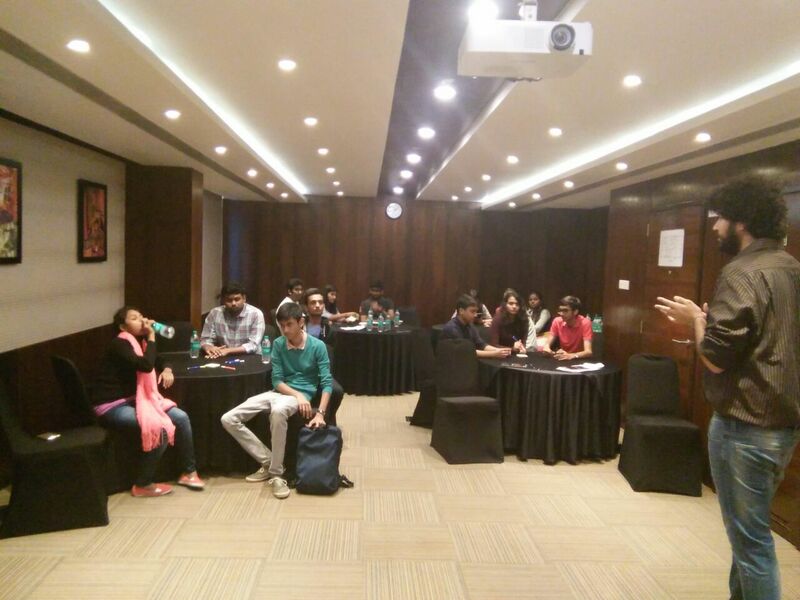 Vaibhav and Anirudh conducted the FoV workshop at Ashoka India for their programme Youth Venture India, which seeks to build an ecosystem of support for the youth to be changemakers by connecting the key stakeholders in the society, on 25th November 2017. Ashoka is the one of the largest networks of social entrepreneurs worldwide, with over 3,000 Ashoka Fellows in 70 countries. Harish and Harsha attended ‘Distribution Smart Utilities Forum’ organised by Technology Innovation Centre, BESCOM partnering with ISGF, IEEE and EPRI on 29th and 30th of November 2017. On behalf of FoV, Harsha participated in a panel discussion. Key objectives of the forum were to capture best practices followed by leading Distribution Utilities in India and overseas, discuss on future technologies and challenges across Utilities, organize seminars and practical demonstrations on new technologies, achieve mutual benefits in technology, finance and regulations and discuss and evaluate new business models. A ‘City Game’ session was conducted by Bharath with participants from Sloterdijk Amsterdam, Netherlands on 29th November 2017. 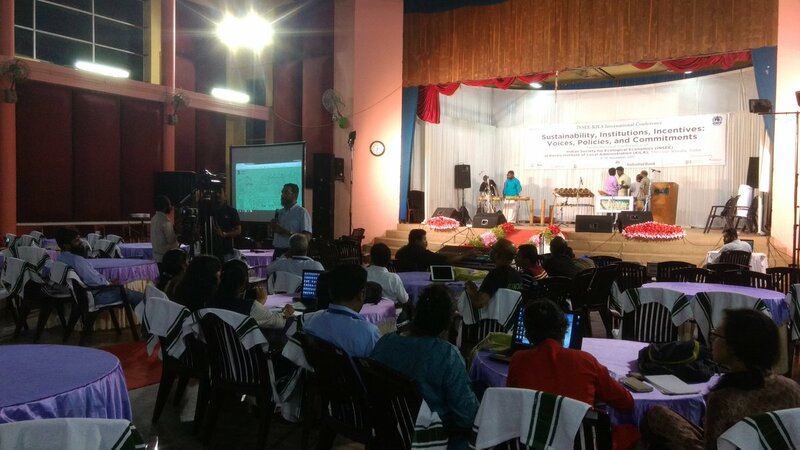 The session was conducted in collaboration with Dr. Artie Ramsodit. 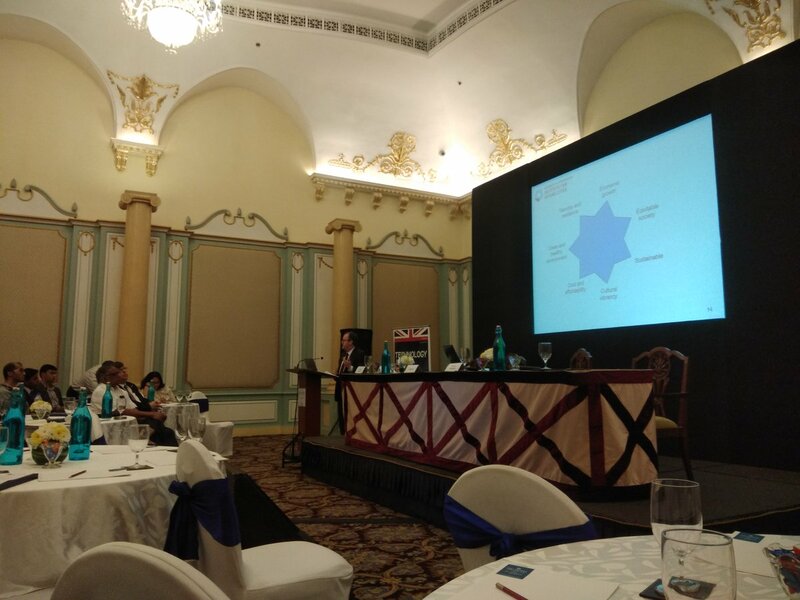 Srijan and Anirudh attended UK-India workshop on ‘Big Data for Better Governance and Policy Making’ on 30th November 2017. The aim of the workshop was to create awareness amongst policy makers for data-informed policy making and building the requisite (1) data infrastructure, (2) regulatory and policy framework and (3) skills in order to make data-led governance a reality.